Serving areas: Bristow, Manassas, Gainesville, Haymarket, Nokesville, Woodbridge, Ashburn, Fairfax, Centreville, Chantilly, Reston, Herndon, Prince William County, Fairfax county and many more. From backyard parties to corporate events, we’re here to help you make it happen! 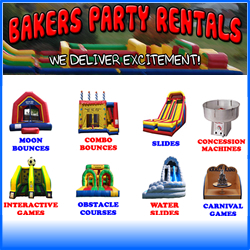 Inflatables are not just for children and we offer games for all ages. 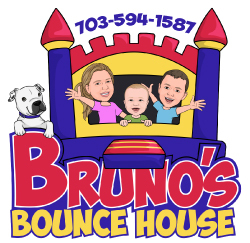 We stock the largest selection in the area of jumpers, combos, water slides, rock walls, trackless trains, dunk tanks, giant slides,teen games like wrecking ball, jousting, rock-n-roll, sumos, bungee run, popcorn, snokone & cotton candy machines. We carry garage jumpers too. We offer multiple piece discounts and can customize any package to suite your needs. Always FREE delivery. Call or email for pricing & availability. Ask about Fundraising options for your school!